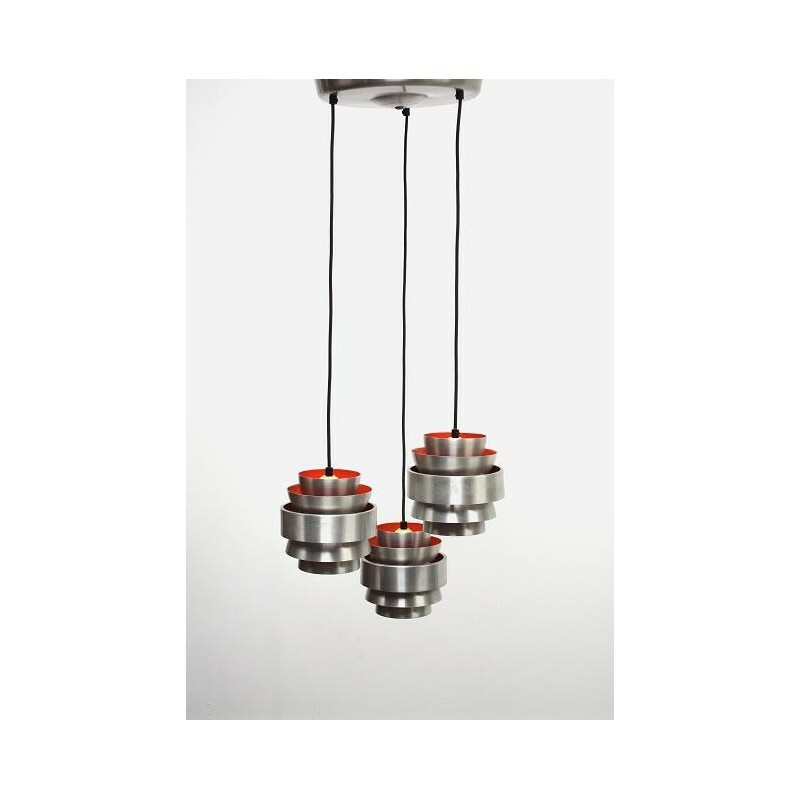 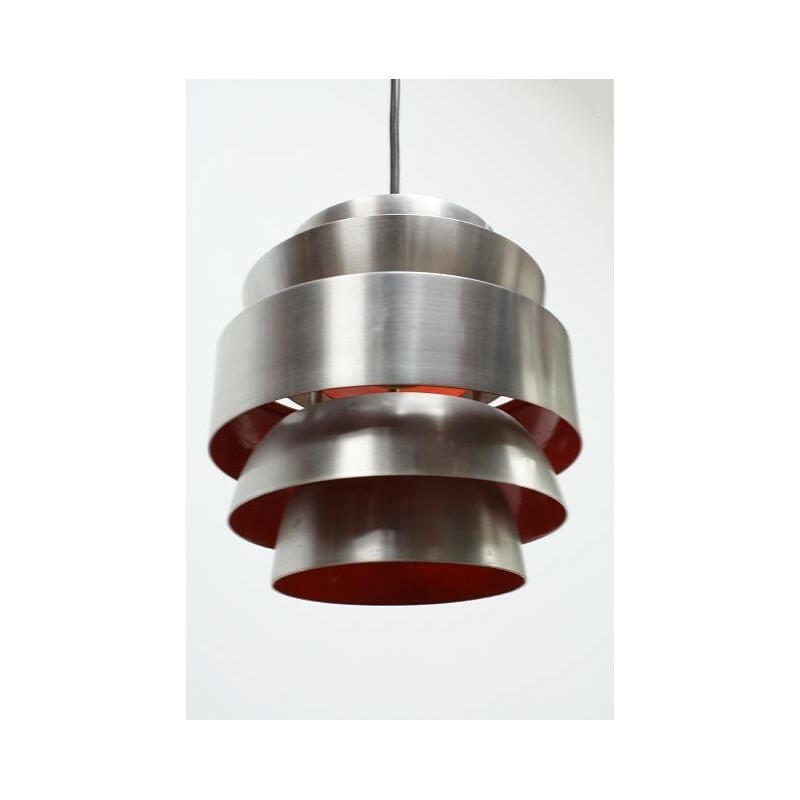 Vintage pendant/ hanging lamp designed in the late 1960's/ begin 1970's in Scandinavia. 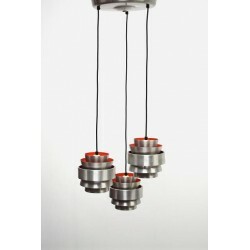 The lamp is made of metal and aluminium colored on the outside and orange colored inside, which gives a nice effect when the lamp is on. 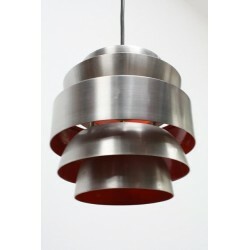 The lamp exists of 3 parts every part is 15 cm by 15 cm. The dimension is 40 cm wide and 100 cm high.